As Bitcoin plows through support levels that many thought were prehistoric, investor sentiment has all but sunk to a standoff between capitulating defeatists and grim-faced, but defiant, maximalists. The expected confusion of explanations has emerged for the coin’s ferocious sell-off, seeing prices wind the clock back to October 2017. There are the vindicated harbingers of grave news for the future of cryptocurrencies, typically financial heavyweights, whose apocalyptic predictions tend to reverberate with deafening volume during market downturns. 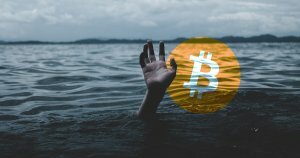 As the aftershocks of Bitcoin’s Nov. 15 belly-flop started to sink in, European Central Bank executive Benoit Coeure, for one, chimed in at the Bank for International Settlements describing Bitcoin as “the evil spawn of the financial crisis”. Related: Will Bitcoin Breach $4,000 With New Yearly Low at $4,050: is Bakkt a Factor? Yet in such a whirlpool of gloomy narratives, a far simpler question seems to have been all but silenced. Is Bitcoin’s price-action just a pure accumulation cycle? Perhaps unknown or forgotten to most, these secretive, wholesale trades leave no footprint on the primary market—fueling the narrative of cryptocurrency being “dead” as the so-called ‘whales’ accumulate BTC orders likely in the tens, or hundreds of thousands of units. Should they desire, these deep-pocketed players could surely liquidate a slim portion of their holdings on the exchange markets, driving prices down in staggered moves, accumulating more at each position via OTC, all the while shaking out weak hands and crushing public sentiment. And anyone questioning whether the unregulated crypto market could be so swayed should perhaps familiarize themselves with the established history of manipulation in regulated markets. In 2007, former hedge fund manager and CNBC Wall Street mouthpiece Jim Cramer made a stunning confession on video when he explained an armada of ways his firm would manipulate the stock market including “knocking down” prices with 5 or 10 million dollars, or attempting to get investors “talking about [a company] as if there’s something wrong with it” in order to purchase at a greater discount—practices he commented were par for the course amongst his cohort. Other firms, he suggested, might even feed a less informed reporter a bogus narrative at industry giants CNBC or Wall Street Journal in order to push prices lower. 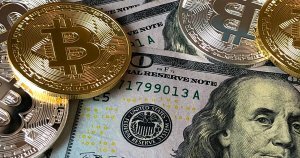 A colluded effort amongst the whales of crypto to drive down prices may be a fairytale for some, and yet if allegations are true against 16 of the world’s largest banks of collectively rigging the global currency market, one would once more question what is possible in the decidedly laissez faire, unregulated cryptocurrency market. Coming months prior to Wall Street’s supposed entrance to cryptocurrency, one might wonder if the market’s sub-200 billion-dollar capitalization could, for some, be ripe for the picking. The post Is the Bitcoin Nosedive an Outright Accumulation Cycle? appeared first on CryptoSlate.